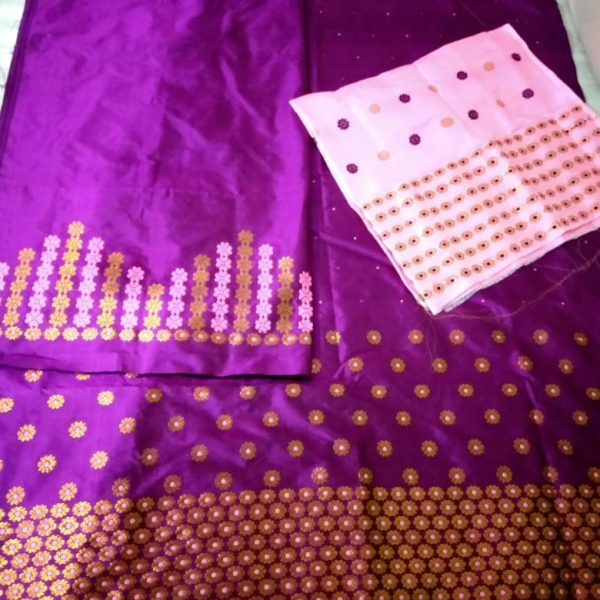 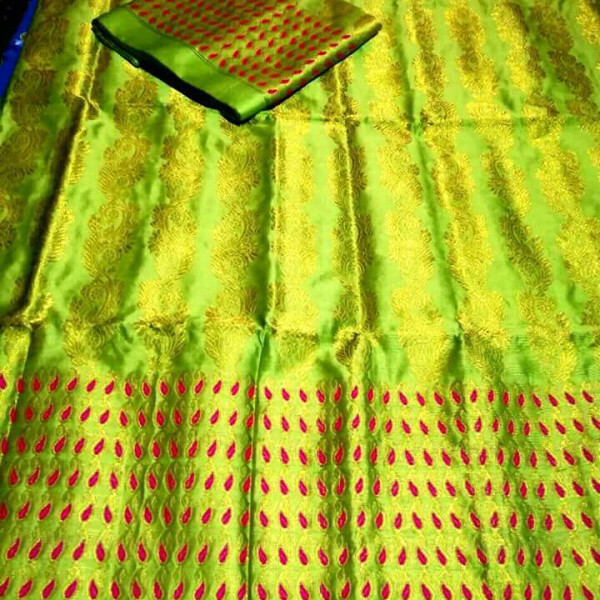 Rinku from Agartala bought this item recently. 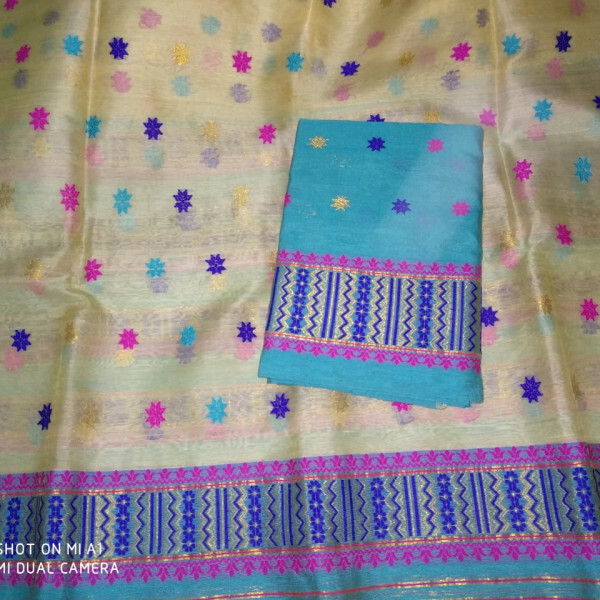 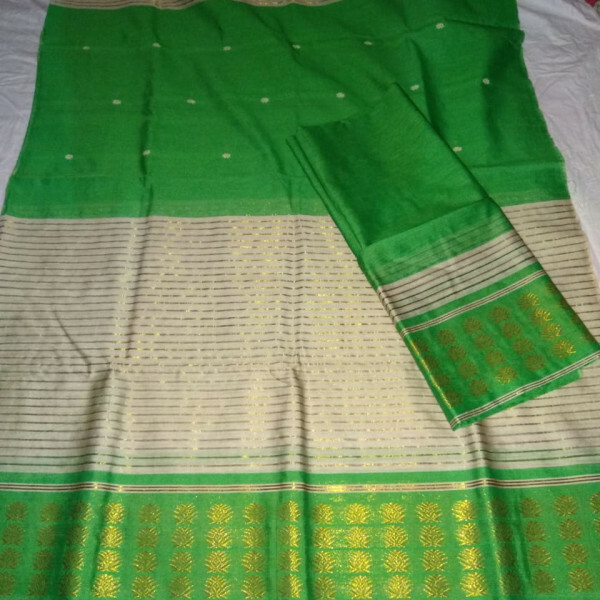 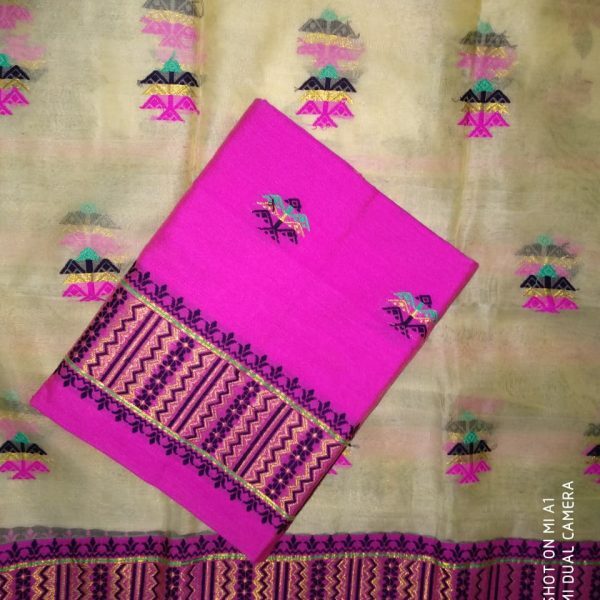 Staple cotton Mekhela Sador in Parrot Green Colour with a separate Stripe design with Guna in the middle of Sador and white ‘Buta bosa’ in other half……. 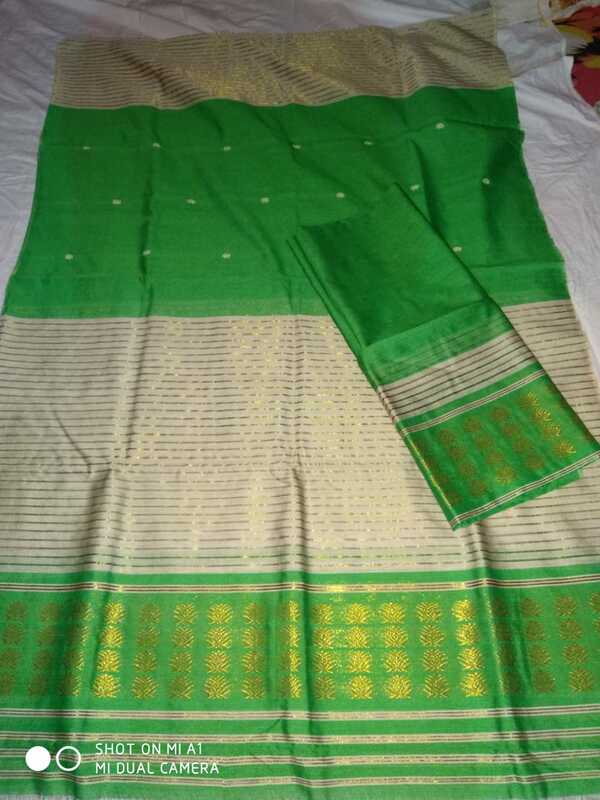 Mekhela Green colour with Guna work in the bottom.